There was a spectacular eruption of Kilauea in November 1959. The lava fountained up to 580m high. 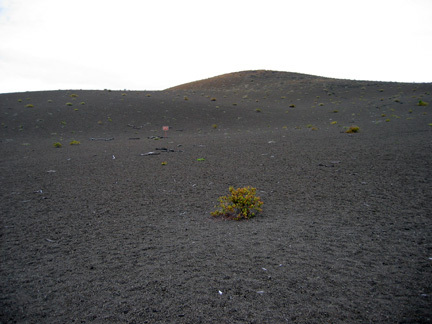 Eventually a large cinder cone formed, burying or burning most of the vegetation. We walked along Devastation Trail from the rain forest into the dead zone. Scientists are monitoring the vegetation as it regrows. The trail is promoted as a potential film location.